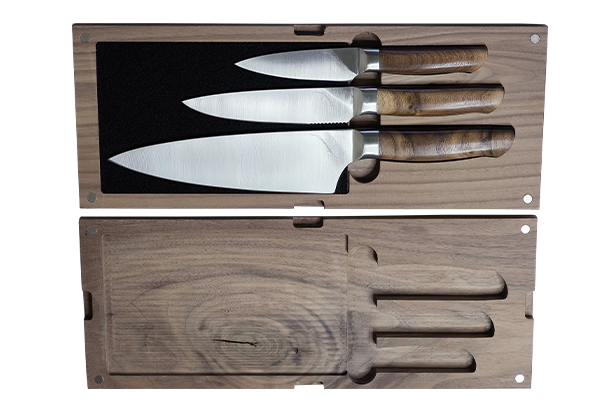 Handcrafted in Willamette Valley Oregon, Ferrum’s Reserve 5″ Serrated Utility Knife features a handle made from reclaimed Black Walnut contoured to fit perfectly into your hand. 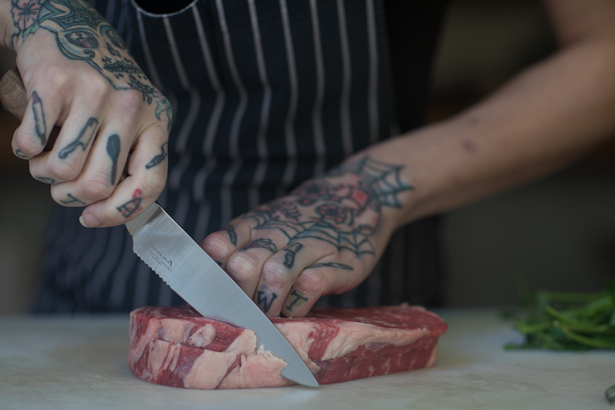 Each blade is forged from tough American steel, then hand sharpened with a fine sawtooth edge at the heal. 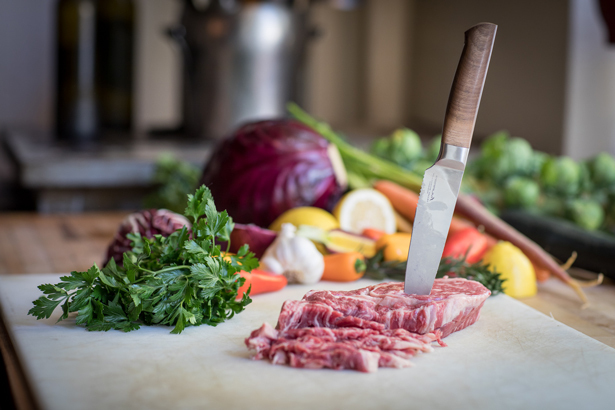 Bridging the gap between a chef’s and a paring knife,the narrow straight blade with serrated edge is excellent for efficient slicing without smashing. Use this knife for cutting cleanly through delicate fruits and vegetables as well as small slicing jobs such as tomatoes or bagels.